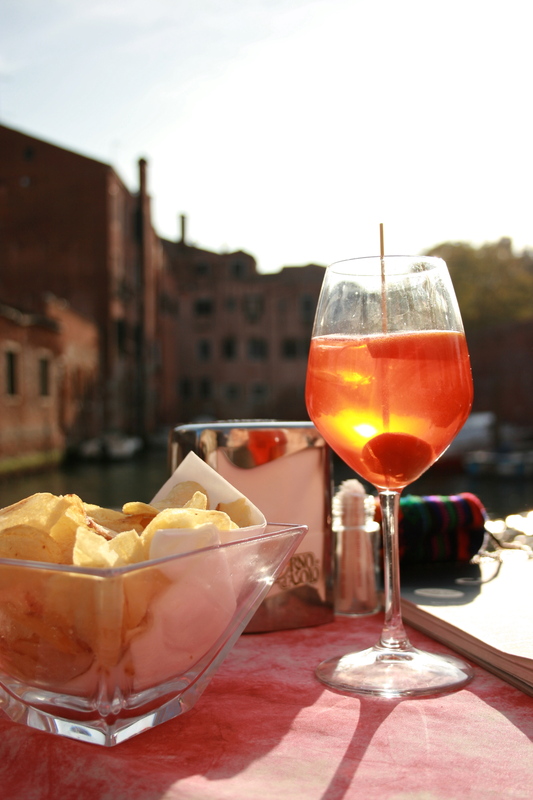 The cheapest way to visit Venice is to book your accommodations outside of Venice. Zala and I chose to couchsurf in Mestre. It made for a fun Halloween and provided an excuse to buy one of those fabulous Venetian masks. Also, if you are able to ‘borrow’ a Venetian’s card; you will save money. Advice from someone who made the mistake. Do not drive to Venice. There is no reason for you to do it other than to spend extra money. You can not drive within Venice. Once you reach Venice, you must immediately find overpriced parking. 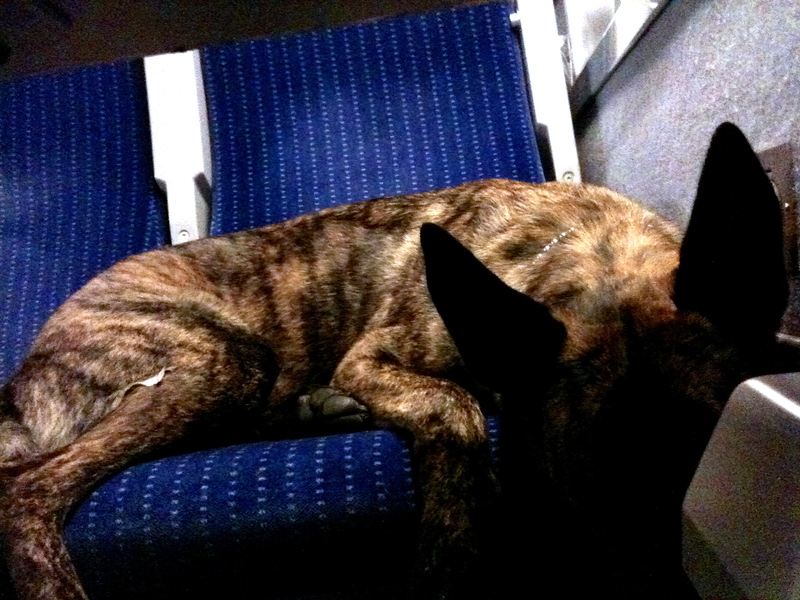 Taking the bus from Mestre to Venice is no problem with a dog. Slip on his/her muzzle and hop aboard. But be warned, the bus to Venice is usually packed tight with people. Make sure your dog is comfortable in this kind of situation. The train is also easily available for you and your dog for a higher price. As for water transportation, gondolas are for tourist with money to spend. Everyone else takes the water bus ‘Vaporetto’. Dogs ride free. Muzzles are required but are more of a courtesy. 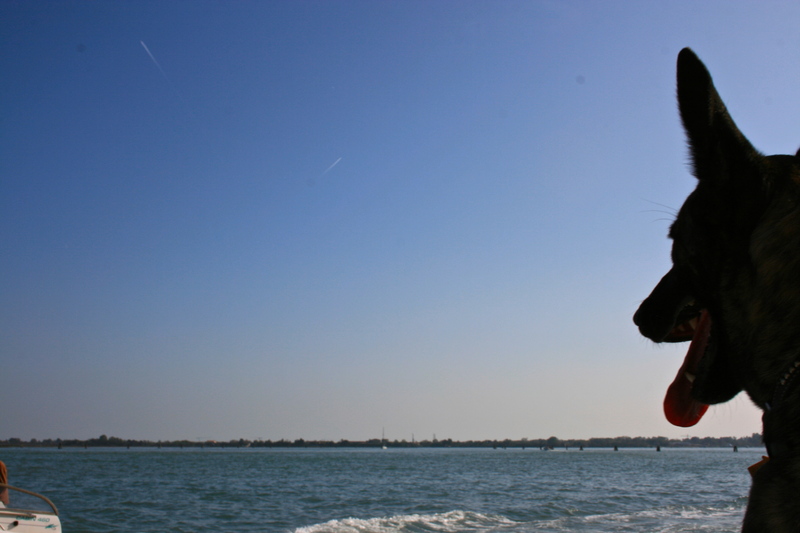 Zala loves riding the Vaporetto. 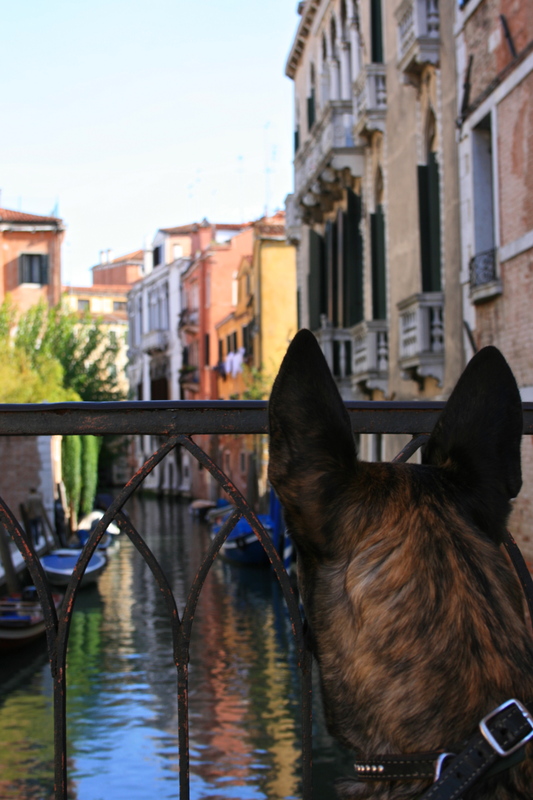 There is more to Venice than the main island. 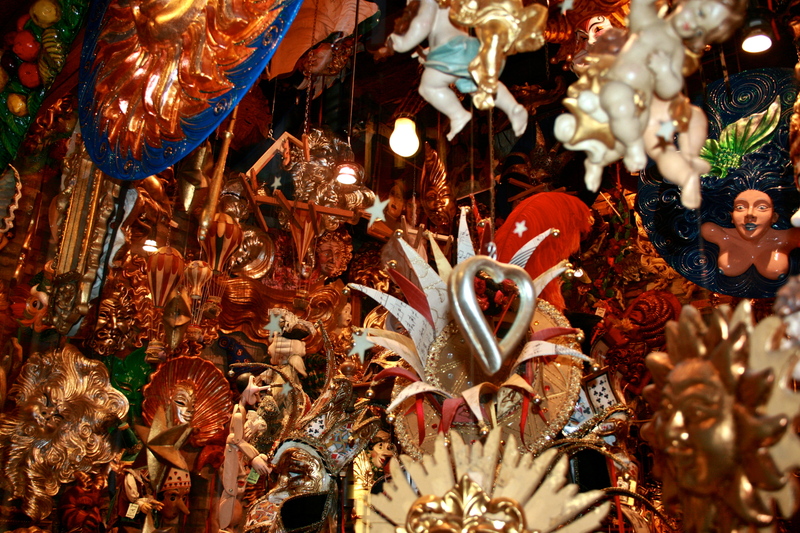 Be sure to visit the other islets such as Murano and their amazing glasswork. Don’t bother using a map in Venice. It is a mess of tight alleys and never ending corners. The joy of Venice is getting wonderfully lost and finding amazing places. Trust me, you will find your way back no problem. Take little doggy bags. Venice is rock and water. Patches of green are rarely seen. Feel free to leave comments and questions. I will be happy to answer. Great information, thank you! I think we will leave Venice. We don’t muzzle our dogs!